There’s a huge sense of familiarity when holding the iPhone 4S. Following the device’s announcement, it was decried by a large portion of consumers – “It’s the same phone!” – and to an extent, they were correct. Comparing the iPhone 4S to last year’s model side-by-side, there’s virtually no discernible difference between the two; it’s much the same way Apple handled the 3G and 3GS upgrade. 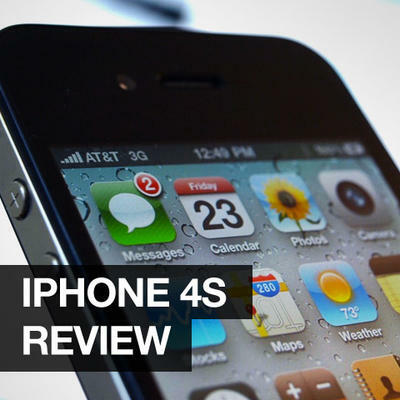 Although the iPhone 4S may not have been the upgrade folks were looking for, that doesn’t mean it hasn’t enjoyed tremendous popularity since it went on sale. Judging by the numbers, familiarity can sometimes be a good thing, especially when you consider the iPhone 4’s excellent design, something most companies have still yet to match. The internals are the real story, however, as much has been improved since last year’s model, including a faster processor, upgraded camera and the all new Siri voice assistant. We’ve had the iPhone 4S for a little under a week, and while there is a noticeable difference between the 4 and 4S when loading applications and browsing the web, it isn’t mind-blowingly faster. Apple gave a lot of attention to Siri and her capabilities, touting its convenience and ease-of-use. While Siri is good fun and does make tasks like setting appointments, speech-to-text and checking weather easier, I often found myself forgetting about the new software altogether. Whether or not Siri is a compelling enough reason to upgrade is up to personal preference. For me, it’s not reason enough. What I was most impressed with was the new upgraded camera in the iPhone 4S. The new 8 megapixel shooter is a huge improvement over last year’s model which is saying a lot considering how great the iPhone 4 camera was. Video quality is excellent as well; 1080p recordings look beautiful at 30 fps. Does the bump from last year’s model warrant an upgrade? If you consider the iPhone 4S in a world where the iPhone 4 doesn’t exist then, yes, it’s a fantastic phone that offers a number of great services – iTunes, App Store, Siri – and some wonderful internal upgrades, living up to the high Apple standard. Paired next to the iPhone 4, however, and we were left feeling a bit unimpressed, empty. It’s faster, but it doesn’t do anything substantially different other than offering Siri. It really comes down to whether or not you’re comfortable signing away another two years. If you’ve upgraded, what are your thoughts? If you’re new to the iPhone, how are you liking your Apple device?